Entering a swim meet for the first time can be daunting for a new swimmer, however everyone started somewhere and taking part in a swim meet is fun. 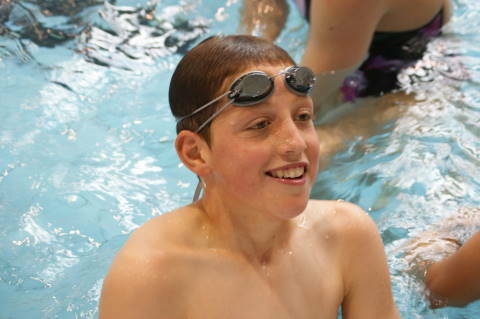 We always have a team manager at a meet who ensures the swimmers are looked after and we encourage our older swimmers to assist in making sure taking part in a swim meet is a rewarding and positive experience. New club swimmers should enter our Challenge Certificate nights, these are on a Friday night in place of our normal club activities, we try to hold these once a school term. Races available are 50m freestyle and 50m backstroke and swimmers times are checked against the Swim NZ Challenge Certificate times. If swimmers make the bronze times listed below they gain a certificate or new award (sticker) for the silver and gold times. Those swimmers who do not make a challenge certificate time will receive a best times ribbon. Challenge Certificate nights are an ideal opportunity for swimmers to 'have-a-go' and experience what racing is all about. No pre-entry or entry fees are required just check the start time which is normally 6:00pm warm up, 6:30pm start. All swimmers are welcome to take part in our Challenge Certificate night. On Challenge Certificate nights we will require help with time keeping, volunteers are called for on the night. These are meets held within our Swim Wellington (SW) "zone" which encompasses the Tawa, Raumati, Kapiti and our swimming club and is called the Gold Coast. Gold Coast meets are held at either Cannons Creek, Tawa or Raumati pools normally on a Sunday evening. There are 5 Gold Coast events each year. Entries must be made for these meets, the closing time/date for the entry is normally the Friday night prior to the meet. The flyers for these meets are on the website and on our noticeboards, (watch out for the gold flyer). To enter place your name on the entry list on the noticeboard and tick the events you wish to enter. The order of races for the meet is as per the flyer and it pays not to enter events directly after each other. There may be some restrictions on how many races or what events you can enter, these will be listed on the flyer. There are no meet entry fees but swimmers, spectators and officials do have to pay a fee when entering the pool where the meet is held, this fee will be listed on the flyer. These meets generally take 2 hours to run, they are reasonably low key but they are official meets so times gained at them do count for qualifying for other events. As with most swim events help is required with officiating and time keeping, our club is always required to assist with these duties as part of our entry into the Gold Coast zone so please help when you can. At most Gold Coast meets swimmers gaining a personal best will get either a best time ribbon or at the "Chocolate Fish" meets a chocolate bar. Chocolate always works as an incentive to go faster! 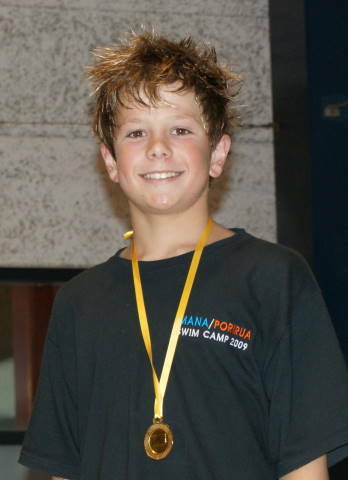 PCA Club Champs are held once a year and are open to every club swimmer. Entries for club champs are required prior to the event. The club has a wide range of trophies for differing stokes and distances in each age group, boys and girls, which are competed for at the Club Champs, top 3 place getters also receive certificates. The Club Champs are official swim meets, times gained at them are official times which can be used as qualifying times for other meets. 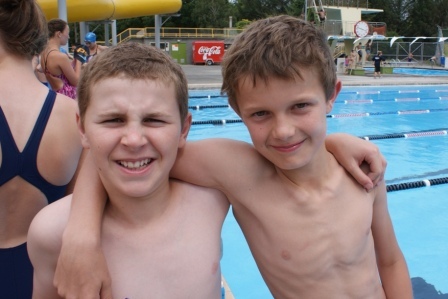 Club Champs are held at Cannons Creek pool over 2 evenings, a Monday and Friday night. These are swimming carnivals run by individual clubs and are open to swimmers from any club. They are staged throughout the year and each tend to have a different focus or "twist". Individual clubs host these to enable swimmers to achieve qualifying times and the meets are valuable fundraising opportunities for clubs. Flyers for these carnivals are posted on our club noticeboards and on this website. Entries for these meets normally close close 10 days to 2 weeks prior to the meet, entry fees for the meets are determined by each club and are on a per swim basis. There may be restrictions on how many swims you can enter, these will be listed on the flyer. Prior to the meet a psyche sheet is available which details all the swimmers taking part in each event. These sheets should be checked to ensure your entries have been received. PCA run a carnival in November each year and expect swimmers families to contribute to the running of the carnival by time keeping, marshalling, officiating etc. PCA host an annual Division III carnival, which is open to all swimmers who have not reached National Qualifying times i.e. NZ Junior, NZ Div II or National Age Groups times. Events are held as timed finals in individual age groups (commencing at 10 yrs and under) with medal presentations for top 3 place getters. This meet is normally held at the Naenae 50m Pool and is split across a morning and an afternoon session on one day. 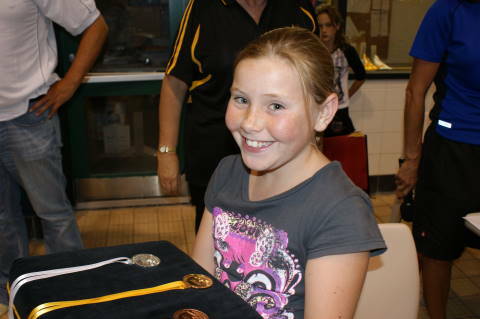 Swimming Wellington (SW) hold two championships meets per year. The short course (25m length) Winter Championships take place over two weekends in late August/ early September and the long course (50m length) Summer Championships are held on Wellington Anniversary weekend in January. Entry to these championship meets is restricted to those who have met qualifying times within the qualifying period. The above meets are held in February-April, other than Spring meet which is held in September. They take place at venues throughout NZ, other than Juniors which takes place simultaneously in two venues throughout NZ.